How about sitting for a while and enjoying a hot cup of coffee? 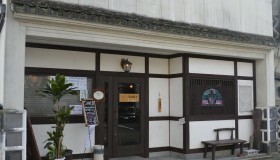 Please spend a delicious time with us, here at our kominka, or old house, which was built during the Taisho Period (1912-1926). We can boast of our "omu-rice" and "hamburg." 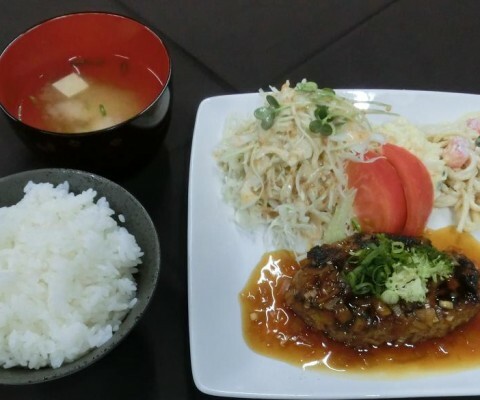 Our "Casual Lunch" is for 600 yen with either hamburg, pork-steak, or chicken-steak as a main dish. 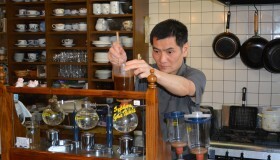 Its bonus is an after-lunch soft drink with a 200 yen discount. Within the store, we have counter seating and tables and seats available too. 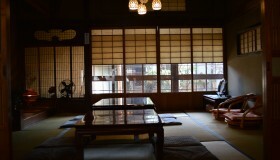 We recommend the tatami-matted back area, a favorite among those accompanying small children, and groups. Casual Lunch 600 yen. Cake from 350 yen. All kinds of western food and sweets.